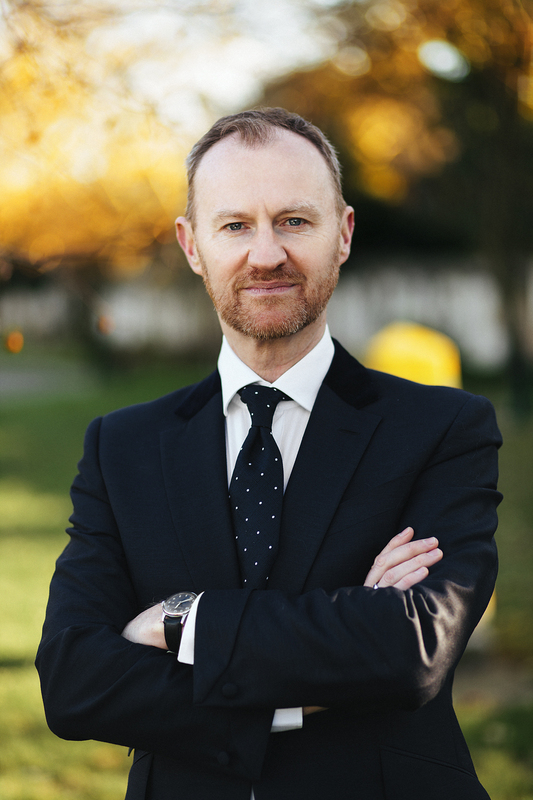 Promo: Mark Gatiss interview. The Madness of George III. Nottingham Playhouse. – East Midlands Theatre. 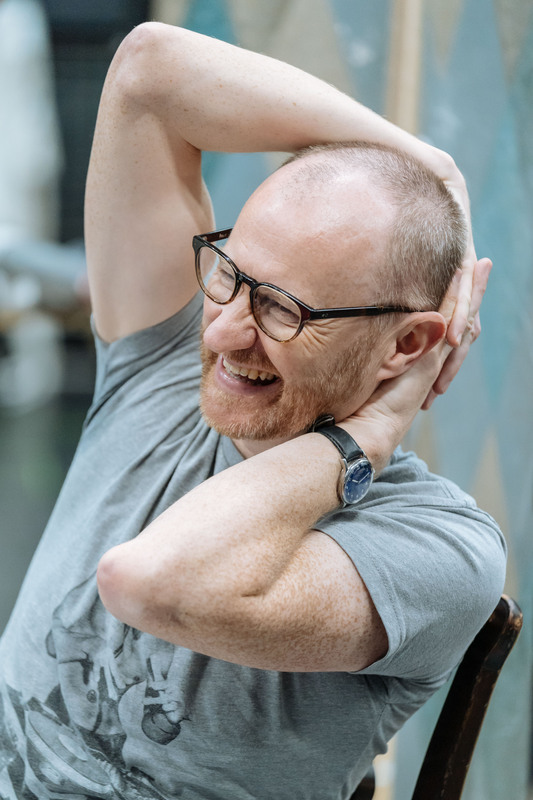 This week will see the opening of the highly anticipated production The Madness of George III at Nottingham Playhouse with acclaimed actor, playwright, author, comedian, producer and director; Mark Gatiss taking on the lead role. 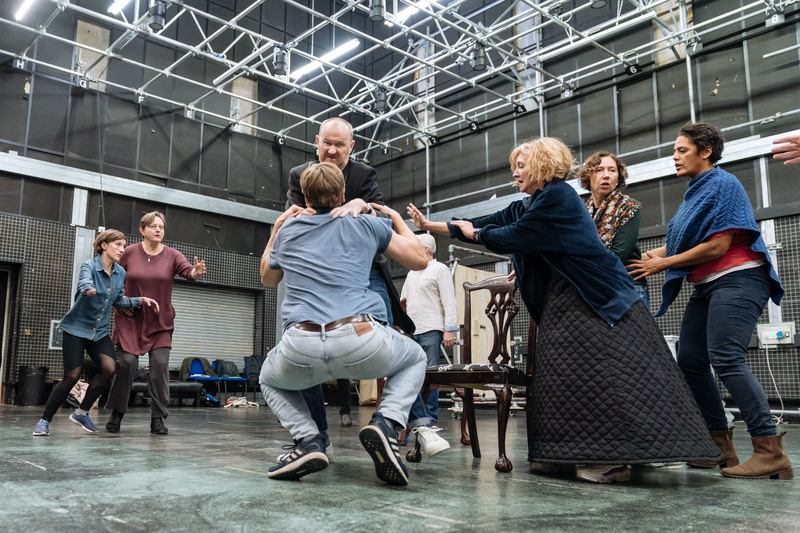 You’re starring in The Madness of George III at Nottingham Playhouse – what drew you to this story? 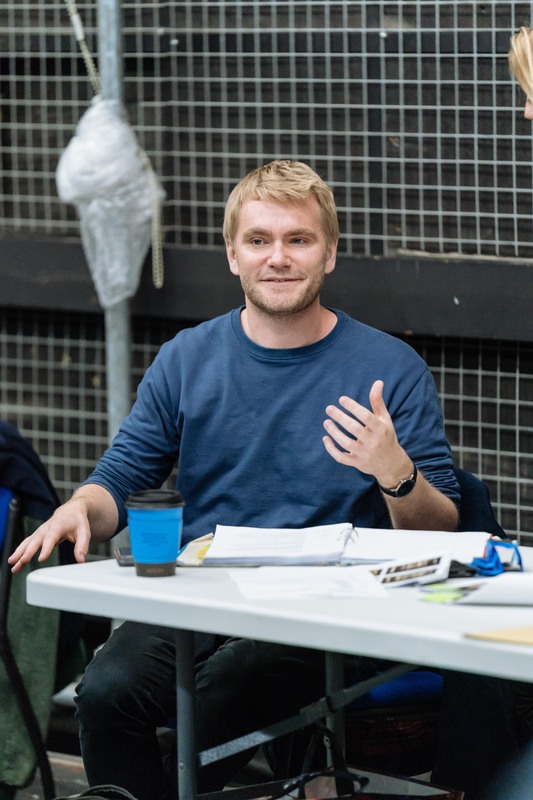 Adam Penford, the artistic director of the Nottingham Playhouse directed me in ‘The Boys in the Band’ two years ago and I’ve known him since he was an assistant director at the National Theatre when we did ‘Seasons Greetings’ together and he asked me if I would do ‘The Madness of George III’ and I said yes! I’m a huge Alan Bennett fan – he’s one of my formative influences. I love the play and I was very flattered and thrilled to do it. I also love being King! It’s a marvellous play – obviously it’s one of Alan Bennett’s best-known and best-loved works and I think it’s an ambitious project to do for Nottingham. And it’s very relevant actually – as all the best historical drama is – you can pick out threads which are pertinent to the way that we’re living now… and the idea of a slightly dysfunctional head of state (or leader) – draw your own conclusions! What drew you to the character of King George III? What can people expect from the show? He’s an intriguing man – I did George III and his ministers for history ‘A’ Level so I knew, at some stage, quite a bit about Fox and Pitt and the whole set up of the Regency. The big characters of that period, I find, as Alan Bennett does, very interesting and the king himself is a very sympathetic character I think – unlike George I and George II he feels properly British as opposed to German and I think he had a kind of sensitivity – they called him ‘Farmer George’ – he was interested in actually making a success of the monarchy and making his family into an ideal unit – you could cite it as the beginning of the modern monarchy. But then obviously his illness threw everything off track and his terrible relationship with his son came into sharp focus. I think he’s a very interesting and contradictory figure. It’s a very moving and slightly harrowing drama about mental illness but it’s also a grand, sweeping, historical epic with lots of fascinating political characters – many of whom you can find modern comparisons for. You said in an interview that before a play you feel ‘terror’ – what makes you so nervous/ terrified/ excited about performing? Same thing as any actor – weirdly I went to see Alan Bennett’s new play ‘Allelujah’ at the Bridge Theatre the other night and I got out of the car and saw my friend Sacha Dhawan tucked around the back of the theatre, pacing up and down, nervously going over his lines and I thought I wouldn’t interrupt as I knew exactly what he was going through! Everybody goes through the same thing – you can’t really imagine why you put yourself through something so stressful and bowel-wracking yet again, but you do – and then you get through it and then it’s ok! The play is set to be screened as part of the National Theatre Live – what makes this so exciting for audiences and cast alike? 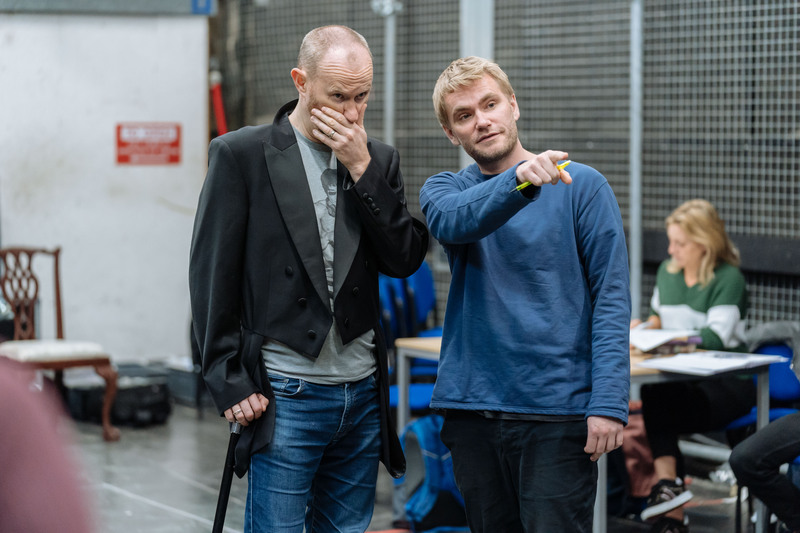 The NT Live scheme I think is a fabulous thing and I’ve done one from Donmar – a nerve-wracking but exciting experience. To think you’re being beamed all over the world from the theatre at that point – it’s lovely to have a record of the show but also to know that it’s reaching far beyond the narrow confines of its original base. 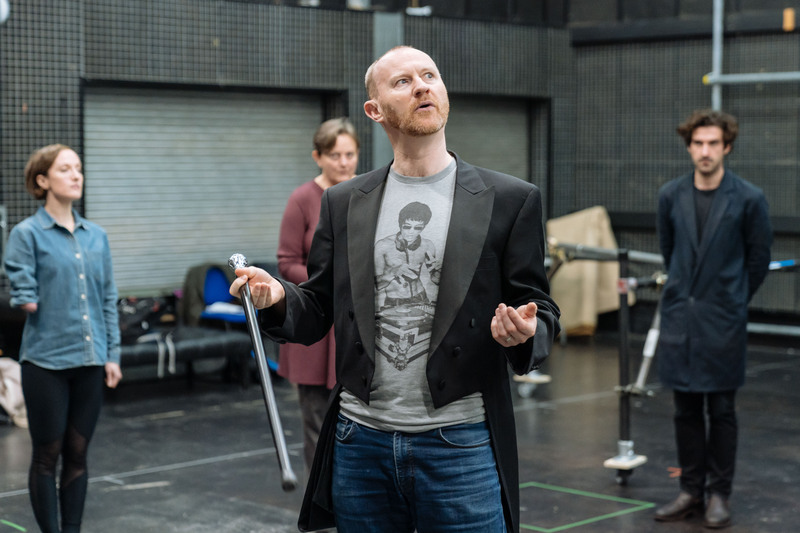 I remember doing ‘Coriolanus’ and getting a message from a friend in Canada who said they were sitting down in a small cinema on Vancouver Island to watch it – slightly thrilling idea that it was being beamed from Covent Garden all around the world. NT Live is an amazing opportunity for Nottingham and the East Midlands as a whole – why is it important regional theatre gets a share of the spotlight and raises its profile? 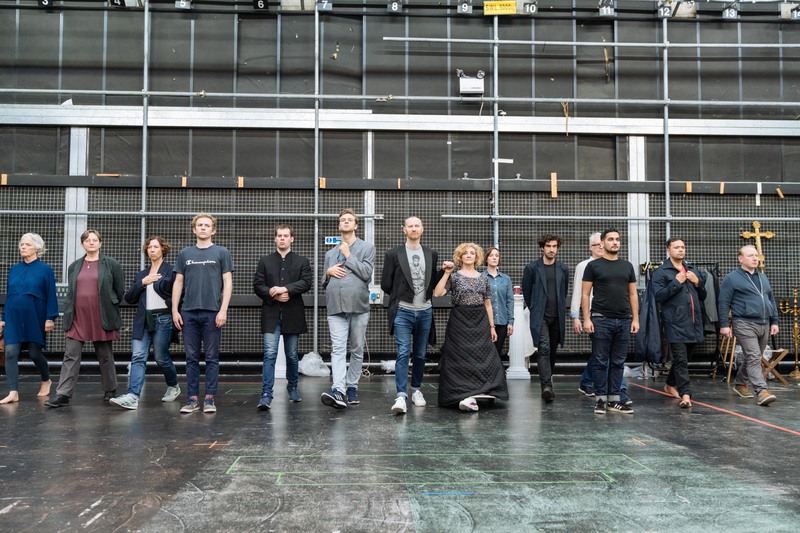 I think the reasons are obvious – this is one of the first NT Live events from outside of London which throws a spotlight on the fact that there is great theatre happening outside the metropolis. It’s fantastic to make people aware and also celebrate regional theatre and its incredible contribution to the national whole. Do you think performing in a city like Nottingham will be different to London and if so, how? Yes, I guess so – I’ve toured a lot and there is an interesting difference from city to city. Different places have a certain feel to them and you can get the sense of how audiences are different especially compared to London. I think what’s wonderful is that Nottingham has such a loyal audience and I know Adam’s play about the miners’ strike [Wonderland] recently had an extraordinarily different audience profile to the one you might expect and we can only try and encourage more of that and get people to the theatre who wouldn’t normally think of going. Why did you want to work with Adam Penford? It was blackmail, mostly! 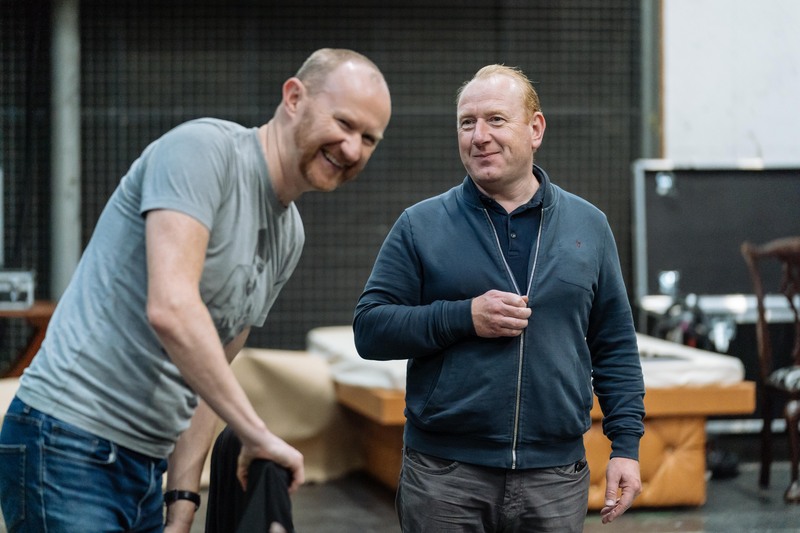 No, I’ve loved working with Adam and I think he’s immediately done a fantastic job taking over as artistic director at Nottingham – there’s a real buzz about it which I think is so exciting. As I said, I was very flattered to be asked to play a classic part in a great play and with Adam directing, it’s a great package. What led you to becoming a writer, actor, producer – who or what inspired you in your life? 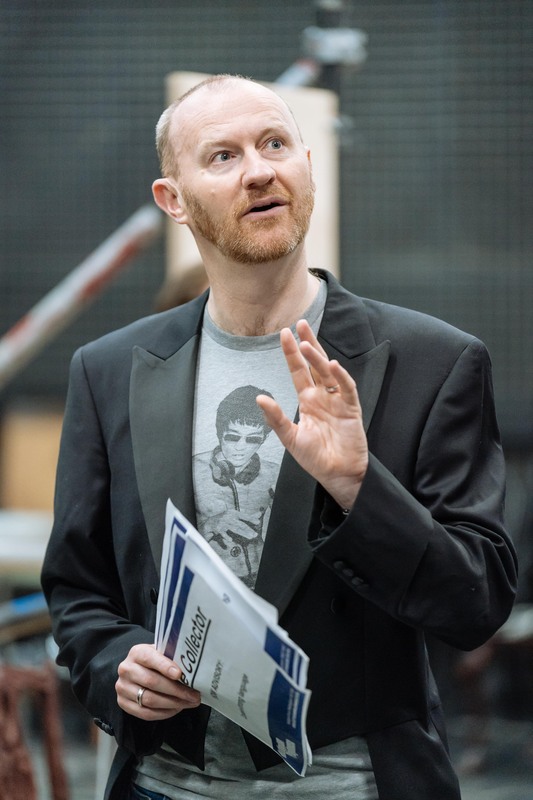 Well it’s all I ever wanted to do and I’ve been fortunate enough to get away with it so far, I was genuinely inspired by all kinds of actors – particularly people like Leonard Rossiter and Alistair Sim – people who combined great comic timing with proper dramatic skill – who could make you cry and make you laugh. Those were my heroes. As I said, Alan Bennett himself was a massive influence on me – a fantastic combination of melancholy and truth and proper “Northerness” which is what he’s managed to celebrate. I remember seeing a film of his called ‘Our Winnie’ with Elizabeth Spriggs taking her daughter to a crematorium on a Sunday and every single thing about it rang so true. I remember thinking: “How does he know all this?” – it was like he’d taken a peek into my own life. That’s why he remains a hero. If you weren’t an actor and writer, what do you think you’d be doing now in terms of your career? The only other thing I actually wanted to be was a palaeontologist, but I didn’t have the Latin (as Peter Cook used to say). What was the first ever production you starred in – were you ever cast as a tree in a school production?! I was never a tree – the first thing I was in was definitely ‘Old Macdonald had a Farm’ in 1971. Then I was a carpet bearer to the ‘Tsar of all the Russias’ in ‘Baba Yaga ‘– the house with hen’s legs. My first starring role was in an adaptation of a children’s radio series called ‘Journey Through Badlidrempt’ and I played ‘Brains’! I can still remember the song I had to sing in it. In an on demand, ‘Netflix society’ what continues to make the theatre relevant for young people? Well I think everything goes in cycles. It’s very interesting what the Netflix revolution has done for storytelling. You could argue that longform stories and the boxset mentality has returned us to a similar era when people used to read very long serials or huge Victorian novels. I think it’s all part of the same desire and hunger for stories which people have always had and will continue to have. With theatre it’s genuinely different every night and actually watching people live in front of you is an entirely different experience. What’s the most valuable piece of advice you were given that you pass on to young people working in this highly competitive industry? My motto is “Work Hard, Be Kind” – that’s the clean version of it! I would say in terms of writing there’s no such thing as a would-be writer – just get on with it. Have a go. There’s nothing to stop you except the voice in your head telling you that you can’t do it. It may not be great, it may not be any good at all but unless you actually pick up that pencil or tap that keyboard for the first time you’ll never know. Don’t let that stop you from doing it. Generally, as Woody Allen once said: “90% of success is turning up”. There are a lot of people who don’t turn up and there’s always a thought that they might have been able to crack it had they had a go. Don’t hold yourself back – you’ll regret it. Have you been to Nottingham before? What do you like about the city? What do you like about the theatre? I have – I toured there with ‘The League of Gentlemen’. I’d like to do the Robin Hood Experience very much! I went to visit the theatre with Adam to have a look around all the departments. It’s a fantastic theatre – I love its history and the fact that John Neville, who’s one of my favourite actors, used to be the AD there. I think it’s a fantastic regional beacon and I’m hoping it will once again really boost the East Midlands. It’s a brilliant stage with a brilliant history and you look at the walls of past productions and at John Neville’s past seasons and you can’t quite believe they did all these amazing plays in one season. It has a great history and a great future. Derbyshire – only because ‘The League of Gentlemen’ was filmed there in Hadfield. I don’t really know much about the area but that’s the bit I know quite well. What role/ character do people tend to ‘shout out’ to you the most? It will be for ‘Sherlock’ or ‘The League of Gentlemen’. Mostly people just say they like my work which is a very nice thing to hear. I’ve had a lot and I’ve been very lucky. One of my happiest experiences was making ‘An Adventure in Space and Time’ – my drama about the creation of ‘Doctor Who’. That was a lot of things I love coming together at once and it was an almost entirely trouble-free shoot. A very beautiful experience. I’m always very excited about the future and the idea of playing this part is very exciting so hopefully George III will be one of them. Rarely – and I’m not being blasé about that. I always think of the story that the great Anthony Hopkins once told about his father meeting Laurence Olivier and talking to him about the football and Anthony Hopkins getting slightly sweaty that he wasn’t giving Lord Olivier the deference he deserved – and his dad just looked at him and said “Well, he breathes air doesn’t he?” However, the first time I was properly star struck was when I met Michael Palin who, again, was a huge influence on me. I got a bit tongue-tied around him. Where in your home do you store all of your awards? They’re on a small shelf that we’ve recently discovered damp under. That must be a metaphor for something. After The Madness of George III, what’s next for you? I’m writing Dracula for the BBC with Steven Moffat which will go into production next year. 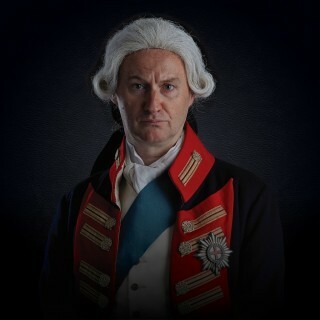 The Madness of George III runs from Friday 2 November until Saturday 24 November, including a special Gala performance on Thursday 22 November, which looks to raise funds for Nottingham Playhouse’s 70th Anniversary Fund. The Madness of George III will also be broadcast to cinemas across the globe as part of National Theatre Live on Tuesday 20 November.